As the twilight begins in a Tana Delta village, someone awakes and steps outside to answer the call of nature. She stops, then turns to run back to her hut, panting and trembling. “I have seen them. Three armed men are crossing our village.” Those few words ignite like wildfire and before long the whole village is engulfed in fear and tension. Schools and hospitals will shut their doors while businesses come to a gridlock. The Sentinel Project’s mission is to assist communities threatened by mass atrocities through direct cooperation with the people in harm’s way and the innovative use of technology. 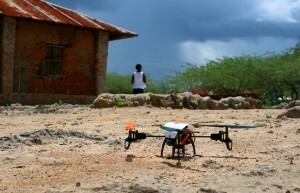 The organization has always prioritized the use of technological tools ranging from simple ones like mobile-based SMS (text messaging) system Una Hakika to relatively complex ones like unmanned aerial vehicles (UAVs or drones) in vulnerable communities to assist proactive interventions and mitigate volatile situations. 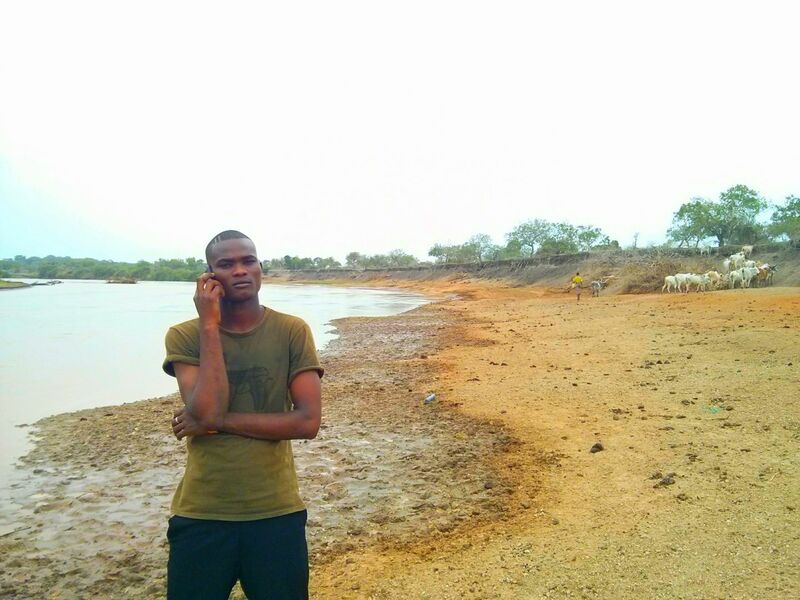 The idea of using UAVs for remote sensing tasks to support existing early warning and early response (EWER) in Tana River County was inspired by the need to gather accurate information as fast as possible in order to send timely alerts to stakeholders, policy makers, and communities so they can make informed decisions about avoiding violence. UAVs may not be a panacea but their ability to gather vast a mounts of information within a very short time makes them a powerful potential tool for our work. 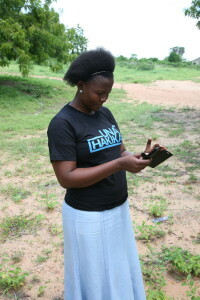 Una Hakika in Kenya has evolved from a research project mapping the flow of rumours in the Tana Delta into a full-fledged organization operating in the counties of Tana River, Lamu, and Nairobi with more than 13,000 subscribers and 450 trained volunteers as well a track record of investigating hundreds of rumours. Interest in the use of UAVs has been growing in both the general public and various sectors around the world, including development, humanitarian aid, and civilian protection. In fact, Africa in general has especially seen a rapid growth of opportunities to innovate using this technology. All of this looks like a good opportunity both to build upon the Una Hakika initiative as well as to explore the potential of drones in peacebuilding and be the first-ever project in Kenya to invest in this field. In 2012-2013 members of the Sentinel Project visited Kenya’s Tana Delta with the aim of understanding the root causes of an ethnic conflict which has just killed 170 people, displaced tens of thousands, and left a fragile and traumatised population at risk of relapsing back into conflict. The team wanted to know why the violence had happened and to find ways to prevent and mitigate it in the future. Community members affected by the ordeal told stories of how they had no reliable source of information and were surrounded by reports of arms shipments, poisoned water supplies, and impending attacks by rival tribes. These stores inspired the conception, design, and implementation of Una Hakika, which is actually a question in Swahili meaning “Are you sure?” Una Hakika’s objective is to provide verified and accurate information to communities threatened by conflict in order to reduce the negative impact of incendiary rumours that have contributed to fueling violence in the Tana Delta and elsewhere in Kenya. A free SMS (text messaging) system was installed and community members were encouraged to subscribe to the service so that when they hear a rumour they have a means to verify the validity of the information by sending a free report to the Una Hakika system. Our team on the ground works around the clock with the help of trained volunteers, local authorities, and partner organisations to respond to requests with accurate information after an exhaustive investigation. When an incident that could induce animosity amongst our beneficiary communities arises, such as a killing or the destruction of property by one person against a member of a different community, we use the same SMS platform to notify the community of the intervention undertaken, such as the police arresting the perpetrator, in order to discourage people from seeking revenge, a response which often arose in the past when it was perceived that state institutions would not deliver justice and security. This particular step was informed by the notion that the sooner the “victim community” is made aware of action taken by authorities to punish the perpetrator and prevent further violence, the less likely it is that some members of the community will seek revenge. The rumours go on and on to this day. Some turn out to be true, many are proven false, and others are very difficult to verify. All of these stories injure the efforts of different stakeholders who are engaged in the peacebuilding process. With every unverified rumour, tensions rise and intercommunal trust is broken, which increases the chances of falling back into violence. I’m plugged into the day-to-day operation of the Una Hakika system through which we receive thousands of SMS requests for rumour verification. This work has certainly tested my skills in rumour analysis, investigation, and response packaging since each case is unique and needs to be treated individually and in context with appropriate feedback sent as quickly as possible. In some cases, due to the poor terrain, remoteness of some villages, and the risks that come with fact checking in areas where personal security is in question, it becomes greatly challenging and at times even impossible to operate. When setting the ground for the launch of Una Hakika, we were fortunate enough to meet with the then-deputy county commissioner, Mr Mike Kimoko, who was in charge of security in Tana Delta at the time. When asked why in some cases security officers were not timely in responding to situations of distress, he pointed out the defeatist effect of rumours in most of those missions. Mr Kimoko gave us several examples in which rumour peddlers would start a rumour about insecurity in their area (with the intention of attracting security forces close to their village) and how they were about to be attacked by armed men from community X or Y, only for him to order a large deployment of security personnel and later realise they were chasing the wind. Such cases wasted government resources, making it difficult to respond to future calls of the same nature even though true threats could have been present at these times.